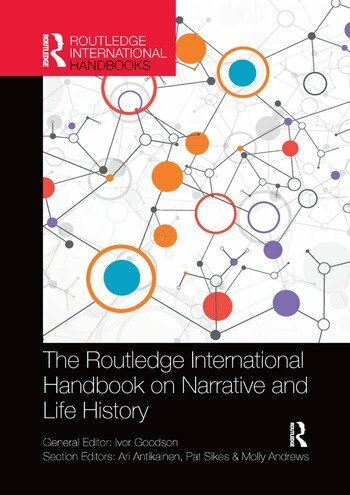 In recent decades, there has been a substantial turn towards narrative and life history study. The embrace of narrative and life history work has accompanied the move to postmodernism and post-structuralism across a wide range of disciplines: sociological studies, gender studies, cultural studies, social history; literary theory; and, most recently, psychology. With chapters from expert contributors, this volume will prove a comprehensive and authoritative resource to students, researchers and educators interested in narrative theory, analysis and interpretation. Ivor Goodson is Professor of Learning Theory at the University of Brighton, UK and International Research Professor at the University of Tallinn, Estonia. He has worked in a range of countries and was previously Accord Research Professor at the University of Western Ontario, Canada, and Frederica Warner Professor at the University of Rochester, USA. Ari Antikainen is Professor Emeritus of Sociology of Education at the University of Eastern Finland. He was President of the International Sociological Association RC04 2006-2010. Knight, First Class, of the Order of the White Rose of Finland 2007. Pat Sikes is Professor of Qualitative Inquiry in the School of Education at the University of Sheffield, UK. Pat’s interests lie primarily in using auto/biographical approaches with a view to informing practice and policy. Molly Andrews is Professor of Political Psychology, and Co-director of the Centre for Narrative Research at the University of East London, UK. Her research interests include political narratives, psychology of activist commitment and political identity.